Replacing your aging existing patio doors with durable Renewal by Andersen options can add much needed beauty, energy efficiency, and value to your home. Here at Renewal by Andersen® of Houston, we offer a full selection of Renewal by Andersen patio doors and are factory trained in their proper installation. Your patio doors are your escape into the great outdoors. If they are not functioning properly or have grown unsightly through the years, that escape can become less rewarding. Renewal by Andersen patio doors, like their replacement windows, are Houston’s leading choice thanks in large part to their durability and their aesthetic appeal. Expertly crafted in Renewal by Andersen factories, Renewal by Andersen’s exclusive line of patio doors utilize the same High Performance™ Low-E4® glass packages and exclusive Fibrex® material used to create their industry-leading windows. With new Renewal by Andersen patio doors, you will have a beautiful, properly functioning gateway to your outdoor living space. Renewal by Andersen offers one of the strongest window and door replacement limited warranties you will ever find. 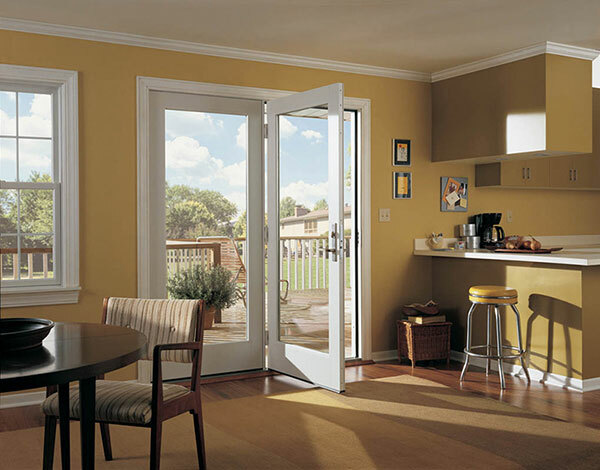 * When installed by a certified Renewal by Andersen contractor like Renewal by Andersen of Houston, your new patio doors will be protected by these warranties. Renewal by Andersen offers one of the strongest window and patio door replacement limited warranties you will ever find. * When installed by a certified Renewal by Andersen contractor like Renewal by Andersen of Houston, your new doors in Spring, TX, and its neighboring areas will be protected by these warranties.